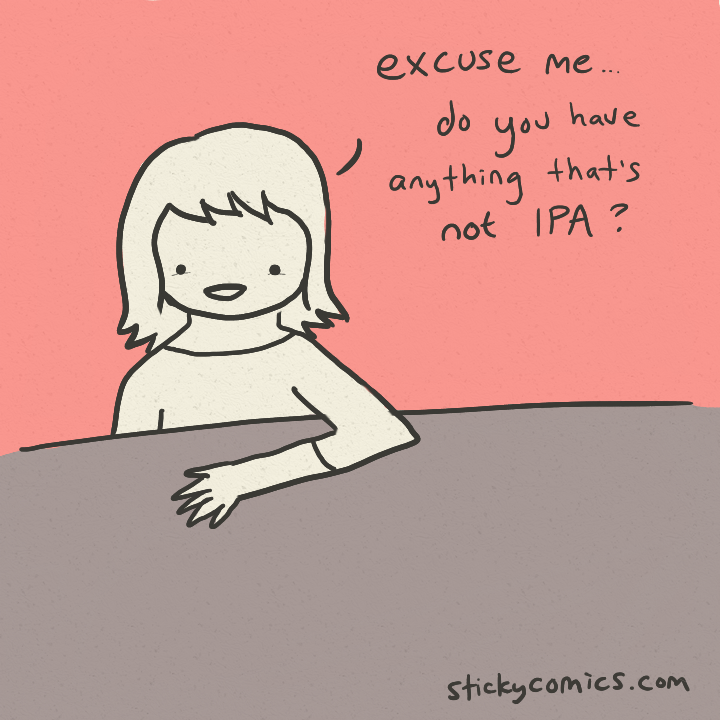 In great general, what is it with Americans and IPAs? At least 2/3 of the American beers I’ve seen here in Denmark have been IPAs, and I once bought one that was supposed to be a dark ale, but tasted suspiciously like an IPA (though to be fair, what we get in Denmark is probably not totally representative – we’ve got our own ‘run of the mill’-beers, so no reason to import those). I could go on about this for, like, hours. 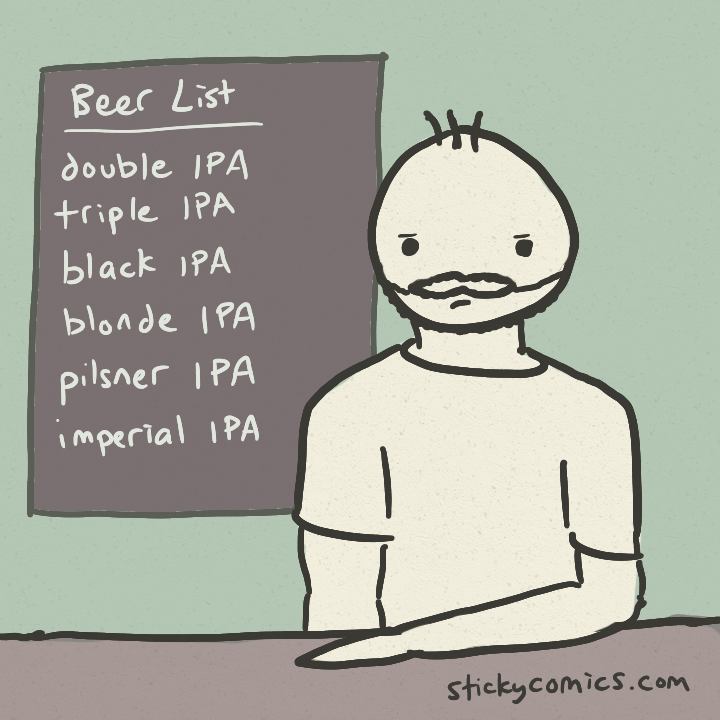 We spent decades drinking the same old Budweiser and similar beers, then we decided they were cheap and boring and IPA was the alternative many of us discovered. Now a lot of Americans think hoppy beer means quality beer. Sigh.